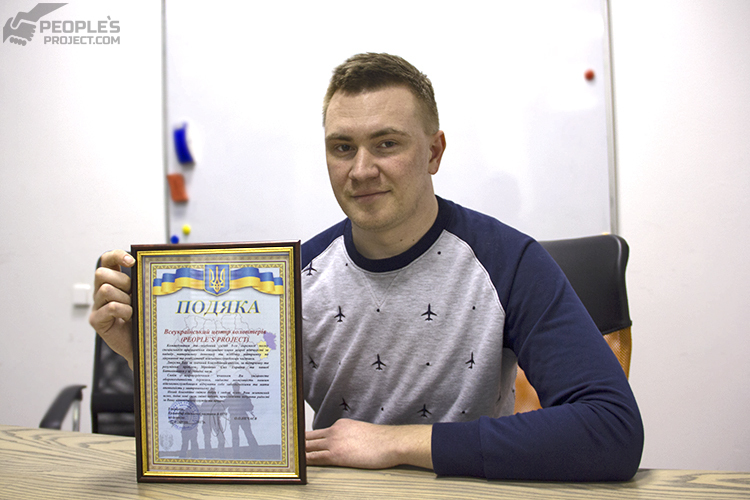 Last week Yevhen, a Reconnaissance and Special Forces officer, completed another stage of treatment. His knee surgery went successfully, so the doctors of the Biotech have examined his leg and sent the guy back home for rehabilitation. During the surgery, the doctors restored Yevhen’s cruciate ligament by means of auto plastics. They took a part of the thigh’s widest fascia, as the injured ligament’s effective restoration is possible through the application of the fighter’s own tissues. For some time, Yevhen’s leg will stay confined in longuette aimed to keep the knee safe while the tissues will be fusing. 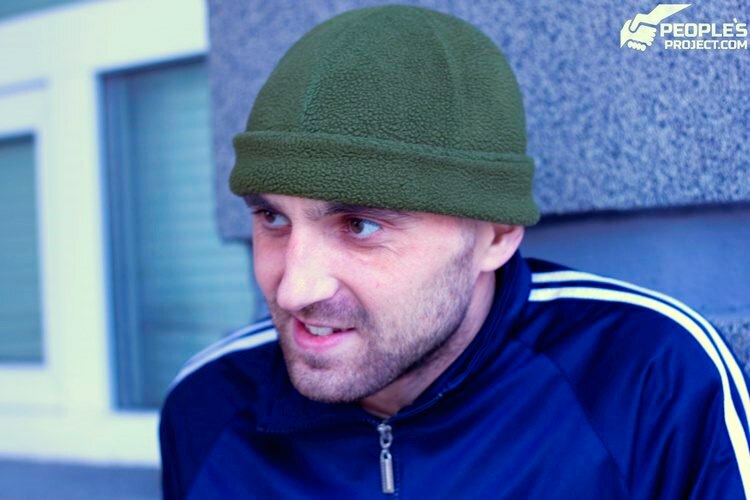 As early as the next month, Yevhen is going to meet the doctors again: this time they will remove the sutures and inspect the healing process in general. Yevhen has been getting treatment at the Biotech for quite a long period of time. In a sense, he probably set a record among all the patients we happened to assist: the guy scored the biggest number of injuries to his osteomuscular system so far. The entire story of the Special Forces fighter you can read following the link. In brief, his left leg was the only limb that stayed intact. His both arms and the right leg have been subjected to treatment for the last half a year or so. 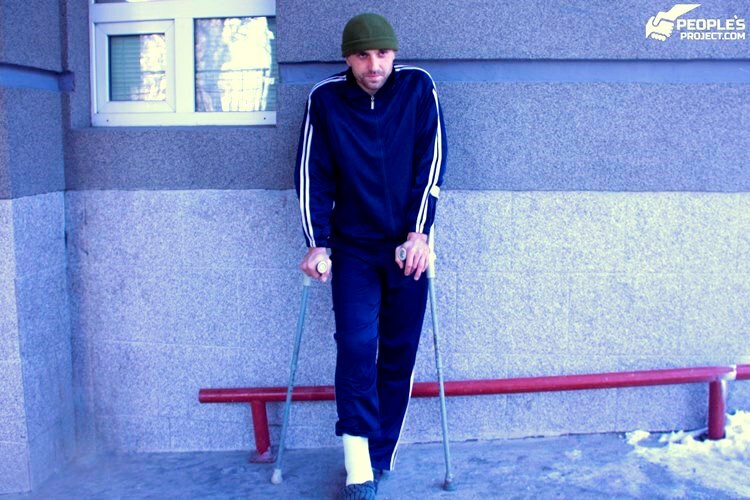 Step by step, the doctors are going to gradually restore the functioning of Yevhen’s both arms and the right leg. The guy himself keeps reiterating that he has been waited for in the forefront! The dislocated shoulder seems does not bother the hero anymore: the doctors managed to stabilize the joint according to the Bristow procedure. As to the right lower arm, its fracture has been fused up due to application of the bioengineering technique of bone fusion. To complete the treatment of the left wrist, biological materials – the cells for restoration of the ligament and bones – are being prepared at the clinic’s lab. Previously, the man underwent the so called Italian plastics of the left wrist’s soft tissues using the materials taken from his own belly muscles. Hence, for some time Yevhen’s wrist stayed stitched to his belly. But this does not make the kind of trouble able to stop the warrior in his way to full recovery! His comrades used to call him immortal. Honestly, now seems we comprehend why! Not only the man fought being heavily injured – even with his finger nearly torn off he managed to fire the under barrel grenade at the enemy. Having his three limbs already injured, he nevertheless resisted his evacuation to the hospital. So now he is eager to come back to the frontline as soon as he can! Surely this determined man will do this! Now, despite feeling fairly pleased and a bit embarrassed, we are going to share this. This is a letter of thanks sent to us by the 8th Special Forces Regiment’s commander. Not to just boast of it, we really feel great about this letter. It is exceptionally good that the Special Forces fighter’s commander-in-chief cares of his officer and thanks those who have been helpful in his restoration. And this appreciation goes to all of you, dear friends! To all those who have been taking care of our severely wounded defenders when the conventional medicine has no options to bring their well-being back. This is owing to you we have been able to accept new patients into the Project for the fourth consecutive year in a row, and to bring the process of their recuperation to logical finale, as a result of a few years of treatment. 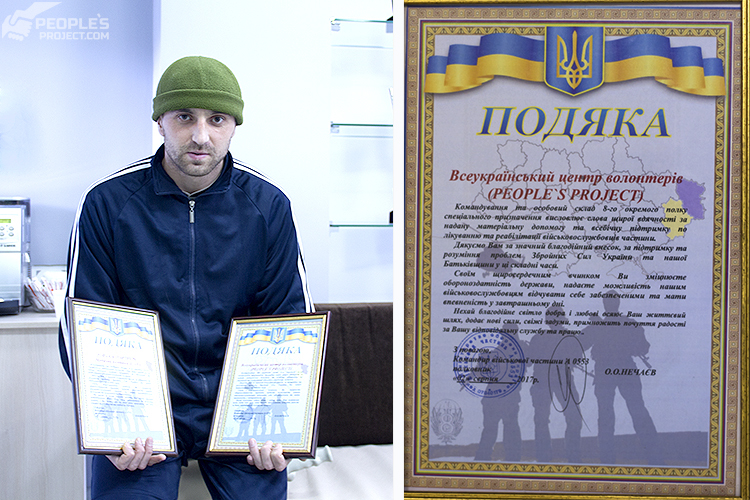 Each hryvnia of your benevolent contributions into the Bioengineering Rehabilitation for Wounded project is our joint act of gratitude for the Ukrainian military who did not hesitate to sacrifice their well-being for our common safety. Moreover, this is a good chance to return them their losses and give them the possibility to live a decent complete life.